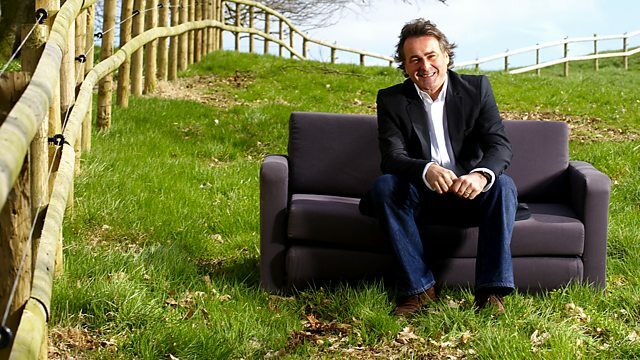 Sheffield ‹ Series 4 ‹ Flog It! Paul Martin is in Sheffield to find more valuables waiting to go under the auctioneer's hammer, with Michael Baggott and Philip Serrell providing expert opinions. Browse content similar to Sheffield. Check below for episodes and series from the same categories and more! It was once the steel capital of England, where the Master Cutler is second only to the Lord Mayor. We're in Sheffield. Maybe we're gonna see a lovely bit of silver. Welcome to life on the cutting edge. Welcome to Flog It! Sheffield has a long manufacturing tradition. Cutlers have been here for centuries. The same is true of silversmiths. Sheffield has its own assay mark. It's produced many fine craftsmen. who, with Philip Serrell, will test the mettle of the antiques in what we hope will be a silver special. to grind out some sharp profits. Yes! We just did it. I can't believe this. -I've had happier experiences at the dentist. That's to come later. This is where it all starts, our valuation day. We find out what items go to the auction. Audrey, you've got a vinaigrette with a receipt. How did you get it? -It was my uncle's. He bought it from London. -He went to a shop in London. -Did he leave it to you? On a silver tray in my bedroom. -Two bits of silver is a collection. -Do you know what a vinaigrette was used for? Absolutely. It was used in the vile-smelling streets. You took a whiff of that. If we look at this, it's quite plain to look at at first. We've got this perforated top. "That's a later addition. That's wrong. This is a nutmeg grater." That is initially what I thought. is that we've got the marks that you were obliged to put on silver. That's all original, which is rare. The standard mark at the bottom. The full set of marks. I'm not being clever if I tell you the date because it's on the receipt. It was made in London in 1796 by Samuel Meriton. Samuel Meriton specialised in egg-shaped nutmeg graters. It's not such a departure for him to make a vinaigrette as a special commission in nutmeg grater form. Quite rare. Made in London. At the time, most vinaigrettes were made in Birmingham. So it's unusual on two counts - the shape and where it was made. We'll pop it all together again. It looks a bit yellowish around the edges. Originally silver gilt. You'd have the appearance of gold. The gentleman about town using it, or the lady, could pretend that they'd bought a gold one. It's lovely. Vinaigrettes have come into their own. Very sought after, especially unusual forms. The receipt says that in 1982, £100 was paid for it. But fair enough. A top retailer. -with a fixed reserve of £250 at the auction. -You happy to do that? Any plans for the money? -See how much we get before you decide. Very sensible. Helena, I love this little horn beaker. This is folk art at its best. It's a one-off. but not like this. How did you get this? Came down from my great-grandfather. -He's here outside the saddlery shop that he owned. Wow. How did he come across this? I think it was part payment for work he'd done for somebody that couldn't pay their bill and offered this. Interesting that he was a saddler. signwriters, people like that. People with a good eye and hand. It's made of horn. Cattle horn, probably. Horn vessels were popular as communal drinking vessels. Large pieces were passed around. They got cut up into sections. We've got a section of the horn. It's been incised with a hot needle. That's how they've done it. They're plugged at the bottom with a piece of horn or a piece of wood. this base would be thicker, and it would be riveted. Stitches just to hold it in place. -And is that horn or wood? The top's been cut with a saw. To finish it off, a little bit of applied silverwork has been added. Just bent over. Not hallmarked. This was made as a love token. We can see by the initials G and I. They're embraced in a heart shape with laurel leaf and two doves. The stagecoach is on the road. As you turn it around, you can see it travelling. Be nice if it was going from London to York, stopping at Sheffield. Fat chance, really, but you've got to hope like that. This carving is deep. This hot pin has sunk in. Towards the end of the 18th century, about 1775. -Late 18th century, early 19th. We could put this into auction for about 160 at a starting level, and hopefully it'll reach £200. Why sell it? It's family history, backed up with this photograph. I appreciate the history, but it's not an object that excites me. We have a few other items that have been passed down. They're nicer. That's my sort of thing. That will be contested in a sale. Where has this delightful brooch been hiding? -Why aren't you wearing it? -Diamonds are a girl's best friend, but that's not mine. -It's pretty, but I don't go places where you'd wear that. -So I take it you didn't buy it? -I can date it back to the mid-'50s when my aunt inherited it. -She died in '79. It passed to my mother. Then to me. -Come down through the family. It's the most fashionable style at the moment. It's Art Deco. It's fantastic quality. Lots of people looking with envious eyes wish that they could have it. -It's a brooch, but I think this is a pretty standard pattern. -with a pin mounted, but I think that's the way it's made. No large stones, but enough small stones. Even though the setting isn't marked, it's certainly going to be white gold or platinum. But it's a lovely little jewel, and very commercial. -I think we could safely put it into auction at £400-£600. -to give the auctioneer some leeway. Let's hope it does well. -Derek, how long have you had these? -They've been in my wife's family. She grew up being told they were valuable. and these made the same journey before motorways were thought of. They are valuable. They are old. We can date them quite precisely. -You see that plum-coloured mark? -We can date that clearly. that actually is the shape number. these are Cairo water-carriers. It's told us what we need to know. can you see that this figure here, it's almost like ivory? And this is gilt. So they are a pair of gilded ivory Cairo water-carriers. See the pitchers they're holding. They're not so much ivory-coloured. More of a blushed ivory. That comes into it. Gilded ivory and blushed ivory. Cairo water-carriers decorated in gilded ivory with gilt blushed ivory pitchers. Shape number 1250. 1891. And then the height. -can you feel a little dink? you can feel any imperfection, and there's a very small chip. Is it important? Well, they are not perfect as a pair. Collectors of porcelain want perfect examples. I think that we can estimate those at £400-£600. Put a reserve on the pair of £350. If someone discounts this bit of damage, there's a chance that they could fly through the top estimate. -Happy to put them to auction? -I am. They've been in a cardboard box. Cardboard box? Why was that? -When my children got to toddling age we put them away. -So they never came out of the box? If they make £450, what'll you do with it? I hope they make a lot and you get a big car. We are halfway through the day. Look, still 300-400 people to see. But there's even more outside. Take a look. And just outside now. Look at this. Hundreds, waiting in the sunshine. to get the sweet smell of success. I love Helena's horn beaker, which should make at least £160. but she's delighted with Michael's estimate of £400-£600. And finally, these Worcester figures have been hiding in a box. They should carry off a cool £400. Let's hope our Yorkshire bidders are keen to carry off today's lots. Well, you've seen our items. Just how good are those valuations? We're going to put them to the test. It's auction time. Let's find out what auctioneer Paul Beighton thinks of our owners' items and those valuations. Audrey's silver vinaigrette. Our expert Michael has put £250-£350 on this. It's unusual. -Unusual and rare, but I don't think it'll sell for that. 250 reserve. I don't think we'll get there. It's nice. It's early. A little dint. We'll struggle to get that. It really needs to be in a specialist sale with other vinaigrettes and smaller items. For that money, it needs to be in an antique shop. Come on, auction prices are almost the same after your commission. Almost at retail. Not a lot of profit for the dealer. We'll try, but it will struggle. Derek's Worcester figures. Cairo water-carriers. We've got £400-£600 valuation by Philip, a Worcester expert. The nicest things we've had from this programme. -They are the star of today's show. -But I do think the valuation is a little high. A bit of damage on the base of one of them. Slightly detrimental. Not a lot. -We'll struggle to get the reserve. -Really? 350 reserve. If they don't make it, they're not today's star. -We're in trouble, I think. If we could have discretion, maybe. Philip might be upset. He does know his Worcester. -These could do £400-£500. I think they will. Haven't had them on Flog It before. We'll give them a good go. Keeping it in the family, Paul's son Jody is running the sale. Jody, Dad is keen and eager. How about you? It's now down to you. -I'm very eager as well. -What item has been viewed the most? -Yes, and good condition. They'll do well. Right, talking's over. It's time for some hammer action. Come on. The auction's finally under way. I'm going to talk to Michael and Audrey about the vinaigrette. We've got something rare. I've not seen one before. The silver vinaigrette in the shape of an egg, which Audrey owns. -But not for much longer. -I think the bidders will love this. It is rare. Try and find another one. If someone gave you £250, could you go and buy another one? -I've not, either. Shame it's a London maker, not a Sheffield maker. -Absolutely. We've got a telephone bidder. -Flog It's seal of approval. -It is, but... Don't want to cut you down, but we talked to the auctioneer. He said he thinks it might struggle. We've got one telephone bidder. If we had two, the price would rocket. -But it's going to sell. -It'll be the golden egg, then. Good luck. Assayed from London, 1796. Commission bid starts us at £200. 260. 280. I'm out. £300 elsewhere in the room? £300? -On the telephone at 300. At £300, then. We're selling. -What is £300 going to go towards? -I want to go to Egypt. -It will. It'll go some way towards it. -He could have been pushed more. -Yes, but we can't stick our hands up. We can't "egg" him on. This is the moment I've been waiting for. The star of the show. Helena's horn beaker. I love it. We'll witness your family history evaporating. You must feel sad. -I just hope it sells. -Moving on. No sentimentality. Move on. OK, let's hope we can. Let's find out. It's going under the hammer. Nice, early lot. Start me at £50? Any interest in the room at £50? Surely that's no money. 30? 30 bid. 5. 90. And 5. 100. -180? At 170. £170. Selling, if you're through. We just did it. £170, just over the reserve. -I was hoping for a lot more, but we got it away. Pleased? -What'll you put that towards? -Maybe a bit of modern art. -You don't like antiques. You're flogging it. -Sculpture, maybe. Something up and coming. -Maybe a dissected cow preserved in formaldehyde. We're in a room full of fine art, about to sell some art. It's Art Deco. A gorgeous brooch. Big money riding on it. 400-600. It's Meryl's. Diamonds are a girl's best friend. You're flogging them. -Let's hope there's ladies here with chequebooks. -And we want top end. -We want 600, if not more. -Let's put pressure on Michael. Will it do more? -If someone bids more than the reserve, it'll sell. -There's not much jewellery here. Not many dealers. I'm hedging my bets. A good piece, the sort of stuff the market loves. -It should make the high end, but let's not be over-cautious. Good luck. Let's watch it sparkle. Lot 590, Art Deco 18-carat white gold brooch studded with diamonds. -Commission bid starts and ends at a low 150. I'll take 160. The bid's at 190. 200. 220. 240. At 340 with me, then. 360 bid. -Thank you. Take 380 now. -Didn't get the top end. -Good grief. That was like pulling teeth. But it's a brooch. Not many people want brooches. -You could turn that into a pendant. -So not a sparkling result. -But it's OK. We got it sold. -Still a jewel in somebody's crown. A great lot, the Worcester Cairo water-carriers, valued at 400-600. Brought along by Derek. Who's with you? -Why do you want to flog them? They've been in my family for 55 years, wrapped up in a box. -You've not enjoyed looking at them? -No. I put them away. -they might just struggle around and creep over it. £200 each for classic Worcester figures. There's a demand for them. Philip knows his Worcester. You've got the right man. Good luck. This is it. Cairo water-carriers. Commission bids allow me to start at £380. £400 in the room? 400 bid. 420. 500. And 20. 540. 560? At 540 on the books. At 560? At 540, we're selling. Kind of middle estimate. A bit above. Very good estimate. -What is the money going to go towards? -Another car. Put it towards another car. -You don't come to Sheffield to see Worcester. That's it, you see - quality. It always sells. with the Sheffield mark on it. Have a look after the show. I bet there's hundreds. Knives have been made in Sheffield since 1297.
belonged to a company of cutlers, and this body wielded tremendous power locally. an umbrella organisation designed to protect the interests of Sheffield knife-makers. In the early years it had to fight London rivals who tried to restrict the sale of Sheffield goods. The old North-South divide goes back a long way. We use "cutlery" to describe knives, forks and spoons. Actually, "cutlery" only refers to implements that cut, such as a knife or scissors. However, spoons and forks are correctly known as "flatware". you kept it in your pocket. When out for dinner, you'd use it. You wouldn't need to bring your own spoon to the grand cutlers' feast, held in the great banqueting hall. It's a big event, attended by important people. As this implies, the Master Cutler in Sheffield is an important man. Someone who knows all about the past masters is Joan Unwin, the archivist here. -Tell me a little bit about all the ledgers you've got here. -This is our oldest mark book. and the mark that he used to stamp on his knife blades to identify that he had made them. By the 19th century, the marks are much more complicated. Early ones, all they wanted to do was to identify who had made it. It was for the company. They didn't mind what the customer thought. It was so the company could identify who had made them and if they'd made rubbish stuff. How did they manage to pay for such wonderful surroundings? The apprentices, when they were indentured, had to pay a fee. When they'd finished and they wanted to be a freeman, they had to pay. Freemen had to register a mark and pay a mark rent. It also came from fines that people paid if they broke the rules. -That's where money came from. is that if people cheated by not using steel, they'd be found out. in the street on an anvil with a hammer. The knife police are out. Beware. -It's fitting you're the archivist. There's a personal connection. Sheffield was almost a one-horse town. Everybody had some connection with the Cutlers. and get in touch and say, "My great-grandfather was in the cutlery trade. Can you tell me about them?" Lo and behold, my seven times grandfather is here. Joseph Leadbeater. That was my maiden name. He was a filesmith, and there he is in 1766.
of a little crown kind of thing above the word "Peru". -Why did he choose that? Sometimes even the records cannot provide all the answers. Sheffield marks stayed with the cutler for life. In London they could be bought and sold. It's not just the records that are housed here. They've a fascinating collection of early knives. They were found in the river Thames, on the foreshore of the Thames. -The mud would have preserved them. -Exactly. This one has a mark that we can date to 1614.
and we've got his mark in the book just here. -I can understand these surviving, but this as well. -Touches your soul, thinking about it. Inns would have been on the Thames, pubs and taverns. These would have been chucked in the river. The mud has helped preserve them. Look at that. Sheffield was a natural centre for knife-making. It had an established workforce used to working in iron, and fast rivers to drive the water-wheels. Sandstone was used for grinding wheels. The peak came in the late 19th century. Sheffield overtook London in terms of quality and quantity. -It was the centre, as far as we are, centre of the world. Sheffield's aspirations were apparent even from the 1630s. A painting of the company motto. the ivory used for the knife handles. I just love this. Looking at it, it's obvious the artist had never seen an elephant. He's working on somebody's description. Imagine it. "tusks and big ears." He's done a good job. "To succeed through honest endeavour." and hope that their items cut the mustard. -Maureen, have you come far? -No, three or four miles. -How long have you owned that? -My father-in-law gave it to me. -Tell me what it is. It's a fruit-knife. It's mother-of-pearl. and then the date code for 1904. Silver blade. A fruit knife. As I say, mother-of-pearl here. A little shield device to have initials engraved. These are collectable. You can get fruit-knives in all sorts of sizes. Some this size. This is quite a small one. You can get smaller. All very collectable. What about that one, then? That is minute, isn't it? Let's have a look. Looks like the handle is mother-of-pearl again. Bit of damage. Blade's not silver. Technically, this probably is a pocket knife. Small pocket. -Both from the same source? -Where did you keep these? -Why do you want to sell? -Well, it's been in my jewel box, doing nothing. -Not gonna make a fortune. Auction value, I think they are collectable. Estimate of £30-£50. We can put a reserve on of £25, with a little bit of discretion. -What'll you put on your charm bracelet? -I don't use it any more. I've got a gold one now. Paul, Chris, where does this lovely bit of silver come from? It belonged to my mother. She left it to Chris. She left it to me because we looked after her before she died. She left me a few bits and pieces. -Any idea what it is? -I understand it's a sugar bowl, or urn. -Mum kept sweets in it. They did reproductions of these in the Edwardian period for sweets. -So your mother was spot on. It would've had a blue glass liner so the sugar wouldn't fall out. But it wasn't sugar as we know it. It wasn't so highly refined. You needed much more of it. It's not that they had very sweet teeth. We've got a full set of hallmarks for London, 1781, and the maker is John Schofield. A good maker. He tended to make candlesticks and salvers. This is a departure for him, for a client. It's typical of the period of design. You've got intricate, classical piercing. A scroll. -Yes, I spotted the urns. There is a slight problem with it. Have either of you misused it on any occasion? No, we haven't. Not us. Not guilty. A bit of damage around the foot. but you have the same piercing on the foot as on the body. It split. -It can be done by a silversmith. It's not cheap. It'll affect the value. Not having the liner doesn't affect it much. They make replacements which you can get. Any idea what it's worth? we'll pop that into the sale. Fingers crossed, it'll do more. it'd be worth, easily, £300. The true price is probably somewhere in between. -We'll start it off at that and, hopefully, get a result. -We might as well. It's been in the attic. -That's no place for it. -Jean, you've brought a lovely oil painting on panel. Most oil paintings are on canvas. This is on artist's board. It's signed "James Watson". It's an original. in Whitby about 20 years ago. I paid £120 for it. painted about 1890 by James Watson. I'm going to be really truthful. I saw this earlier. -I took the opportunity of looking this chap up in the books. -It's a price guide of paintings that were sold at auction in the last 12 months. of the Runswick Bay area. Now, it says here there was a view of Runswick Bay, 9 inches by 12 inches, painted on board. Another one, Lady Palmer's cottage, Runswick Bay, view from her garden. 11 inches by 18 inches. That was a pair. A fisherman. It's important to remember that had figures in it. -A painting with figures is normally worth more than a painting by the same artist without figures. If you want to value something, the only way to do it is by comparison. -In terms of valuation, I told you what I thought it was worth, guessing. -on the painting, with a fixed reserve on it of £300. We'll put a photograph of it on the internet and in the catalogue. So, all in all, a really sweet little picture. -You bought this 20 years ago? -Maybe 25. Certainly in the 1980s. -You liked it. And now you don't? The children have grown up and left home. I've got a big house. I'm downsizing, basically. -So it's got to go? -With a few other things as well. If it makes, I don't know, £500, what will that go towards? Put it towards a car. I haven't got a car. I fancy a little car. -Get yourself a car. I hope it does well. We're in Sheffield, home of the steel industry. We're surrounded by the material. I've a superb example to show you. A set of seven boxed cut-throat razors. These would have been owned by a military officer or a barber. If I take one out, you can see. With an ivory handle. These ones have all been inscribed with a day of the week on them. Monday, Tuesday, et cetera. I think they're superb. Value, £40-£60. Guaranteed to give you a clean shave every day. Bill, where did these lovely spoons come from? -From Doncaster racecourse. They used to hold flea-markets there back in the '60s. I spotted these and couldn't resist. -What drew you to the spoons? -The engraving in the bowls. Having been an engraver, I just couldn't understand how they managed to engrave them so nicely. -You thought, "I must have those." but I'm not certain of the year. If you knew everything, there'd be nothing for me to say! Let's look at the marks. The "HA" maker's mark, for the Atkin Brothers. We've got the crown, for Sheffield. We're in Sheffield today. And the date letter "X" for 1890. It's fantastic that these spoons have survived in such wonderful condition for 115 years. Absolutely amazing. So, how much were they back in the '60s? At the time, I paid £55 for them. although silver was very buoyant in the '60s and you paid a fair price. -But still, I think you'll show a return on them. -and that's why they're in this condition. They ought to be on show. -I think we can put these into auction. they're going to make £100-£150. -If we set the reserve at 100, would you be happy? We'll auction them. Bidders will clamour for them. I'm going away on holiday in May over to Tenerife for a week or two. -It'll be beer money for that. -If they do well, a barrel of beer. Michael, you're our silver expert. You found some Sheffield silver. -A rarity that someone brought in. They don't want to sell it. that were made in Sheffield in 1785. Have a look. -I don't blame them for not selling it. by a mechanical method, and then he went bankrupt. Mechanical spoons weren't produced again for another 60 years. It's a spoon collector's delight. What would a spoon collector pay? £500 upwards for a spoon like that. £500! On that note, I'm gonna find out why Sheffield silver is rare. Silver was fashioned into objects for adornment and use centuries before the birth of Christ. It's rarely mined, but is extracted from lead, copper and other ores. regarded as a great investment. to talk to archivist Dr Joan Unwin, who's going to show me some Sheffield silver. Sheffield, for the dealer, everybody knows candlesticks from Sheffield are the best. What is special about Sheffield silver? Sheffield has made Sheffield silver. As a Sheffielder, I'm proud of it. is that Birmingham specialised in toys and trinket boxes. London did top quality stuff, but Sheffield's noted for candlesticks. This pair, they are alluring. Collectors would love to own those. These aren't actually a pair, even though they look very similar. One is silver, one is Sheffield plate. This one has a tinge of red to it. It's showing the copper through the silver coating. -That's the Sheffield plate - silver and copper. where you had an ingot of copper and you rolled on a sheet of silver. Put it through a roller, treat it as one piece of metal. -You could shape it. You could form it into anything. because it's quite rare and it was only made for 100 years. After 1840, the electroplating process took over. The earliest piece of silver belonging to the Cutlers' Company is this goblet from 1773. That year, the Sheffield Assay Office came into being. And over the top, or what? A table centrepiece, or epergne. It was made by local silversmiths for the Master Cutler in 1853. Well, it's not my cup of tea. Whose is the mace? The mace was made in 1896. -For the Master Cutler. Well, the Beadle carries it. The Beadle's an official part of the company. He is master of ceremonies. When the Master Cutler goes to functions, the mace is carried in front of him by the Beadle. but it's also working to promote modern pieces. This dish was made to commemorate 200 years of the Sheffield Assay Office. It's made with 200 strips of silver. -Each year has been marked. -Each year is marked round. -Contemporary. It's what you'd see in a modern house. It's so understated that people don't appreciate how skilful making it was. -This is my favourite piece, the rose ball made by Brett Payne. without roses they don't look good. This is designed to look good even when it's got no roses in it. Because it's a ball shape, it's a rose ball. -That is a work of art. These are segments from that very rose ball, and they are gorgeous. I'm talking to Brett Payne, a leading silversmith and the designer of this piece. -You've got some documents to show us. This was the computer generation of the rose ball before it was made. And this is an image of an individual unit. There are 180 of them in the rose ball. There are 250 parts overall. This is a scale of 1:1. Life size. that I'd got the geometry wrong. -It wasn't going to go together. -At least you realised it. -Up against it. What happened? -I phoned a friend who's a better mathematician than I was. -He brought this. We realised we could rectify the situation. Contemporary art is still living on a knife-edge. Adds excitement. Just as Sheffield knife-makers keep their marks for life, so do silversmiths. You've got your own hallmark next to these assay marks. "BP". in a circle. I am the only "BP" in a circle registered in the office. The only one that ever will be. Any pieces with a circle and "BP" from Sheffield were made by me. We promised you silver. Sheffield has lived up to our expectations. despite no lining and some damage. Maureen's little knives are neglected at home. Philip hopes for a cut of £30-£50. Michael loves the dessert spoons. Bought at Doncaster racecourse, they should gallop off with £100. Hoping to change a painting into a car, Jean and Philip are hoping Runswick Bay will make a splash. But what does our auctioneer think? Here's a cracking lot. As you know, a Georgian silver sugar basket. Late 18th century. It has the foot smashed in. Someone was fed up. Michael Baggott knows his silver. He's put 80-120 on this. It's an auctioneer's cliche, but I think he's about right. -It's by John Schofield. It's nice, but the damage will affect it. Difficult... Right on the cusp of the piercing. Difficult to repair. But I think it will sell, just. Maybe just away. Pretty thing, but the damage will let it down. Sort of thing you'd have at home? -I could live with it. -Your son's got to flog it later. It's quality today. We've got something with local interest. -Bill's the owner. Bill to his friends. -We're looking at £100-£150. Hopefully, top end. -Why are you flogging these? -I've had them for a long time. I think it's time somebody else had them. -They're works of art, I think. -They ARE works of art. OK. If someone's born with a silver spoon in their mouth, it's Michael. -Silver spoons. If I get it wrong, I'll be whipped through the street. -You'll be given the wooden spoon. But the condition of these will sell them. They're immaculate. -If any set's going to go, it's these. -There's a holiday riding on this. Let's see. Good luck. Silver dessert spoons with gilded bowls, engraved with decoration. Commission bids start me at £50. Take 5 in the room. £55, let's see. The bid's at 50. 70. 5? 75, let's see. The bid's at 70. Can't believe this. I don't believe that. I just do not believe that. -If you can't sell them here, you can't sell them anywhere. -Perhaps there's a glut of dessert spoons in Sheffield. -I get a wooden spoon. -You don't. I'm with you on that one. -I'm really sorry. That's auctions. -They'll get appreciated at home. -Good. You were sensible to protect them with a reserve. -There's another day and another auction if you want to sell. -OK. You win some, you lose some. That's auctions. You don't know until you get here. Oh, dear! Poor Bill. Now for Maureen. Fingers crossed. I've been joined by Maureen. We're about to sell some fruit knives. £30-£50. Not a lot of money. But they're quality Sheffield silver. -You were given these as a courting present. -Major memories. Why flog them? -I've got no use for them now. No use for them. Are we gonna do it, Philip? -The little one is a poppet. That should be worth £15-£20 on its own. I'm confident. -I think we're going to do it. What do you think? Start me at £20. £20? 10 if you like. At £40. The bid's at £40. Selling. Spot on, Philip. £40. All those courting memories have ebbed away. -You can never lose those. -I couldn't have sold those. I couldn't. They're just worth hanging on to. Can you remember that silver sugar bowl? We're about to flog it. Brought in by Paul and Chris. We're looking at £80-£120. We talked to the auctioneer. Michael put the valuation on it. -In fact, we think it could do higher. There's damage to the foot. Someone stamped it on a table. It's great. -Why are you flogging your mum's stuff? -She left it to me. -We looked after her. She left a few pieces to me. -It's pretty. I'd like to own it. Not allowed to buy it. -I'm sure Michael's in love with it. -I am. Bit of damage. Be cautious. Auctioneer loves it. The estimate in the catalogue is £800-£1,000. -If it did that, I'd be very happy. -That'd be sweet success. This is it. A Georgian silver sugar basket by John Schofield. London, 1781. Commission bids start us at £80. Take 90 in the room. 90, let's see. The bid's 80. Any further interest? 90. 100. 110. 120. 130. 140. At 160 on the books. 170, will you? 170. 5. 180. I'm out. Take 185. The bid's £180. -£180. We did it. We got a bit more, Michael. -Happy, happy, happy. Going to spend it on what? I've got an eye on golf clubs, but it wouldn't run to golf clubs. -Perhaps a new golf bag. -It was, in that state. Someone must think they can put it right and make a few pounds. This is a wonderful fine art and antique auction. We've got art. A great oil on board by James Watson, brought in by Jean. -Big money riding on this. £400-£600. -You brought this off the wall. -Yes, I've had it 20 years. Got it from Whitby. -Why have you got fed up with it? I'm not fed up with it. The children have gone. I need a smaller house. -The money's gonna come in handy. -Will we do it, Philip? -As they say in the trade, it's a lovely smudger. But the catalogue hasn't got down that it's Runswick Bay. An illustration would have helped. People searching the internet would have picked up an illustration and where it is. -That might have helped us achieve our goal. -Sounding a bit dodgy now. -Fingers crossed. Let's hope the buyers are here. -Don't worry if it doesn't sell. My daughter wants it. -Will she give you £400-£600 for it? Let's hope the bidders are here. Good luck. This is it. Start me at £200 for it? £200? 120, let's see. Bid's at 120. 140. 160. 180. 240, let's see. At 220. 240. 260. Bid's at 650. Looking for 700. On the phone? At 650, then. £650. 700. 750? At £700, then. At £700, I'm selling it. -We'll take it. £700. Great result. -That'll go towards the moving. -There's another one she can have. -They did well. I'm pleased for the auctioneers and pleased for us. Your doubts evaporated. Didn't need the catalogue. Buyers were here. The auction's still going on, but it's over for our owners. Another roller-coaster ride on Flog It. Who'd have thought Sheffield silver wouldn't sell? The painting flew. If you've got antiques and collectables that you want to flog, bring them to our valuation day. See you next time on Flog It. Something to delight the silver lovers as Flog It! visits Sheffield. Luckily silver specialist Michael Baggott is on hand to deal with it together with expert Philip Serrell and presenter Paul Martin. Once the steel capital of Britain, it is also the place where the Master Cutler is second only to the Lord Mayor. Paul visits Cutlers Hall to discover more about the knife-makers' marks and to view some choice pieces of Sheffield silver, past and present.